Home Sweet Home for Iain Hume, as he Returns to Kerala! Kerala Blasters unveiled their latest signing in the form of Canadian striker, Iain Hume earlier this week. 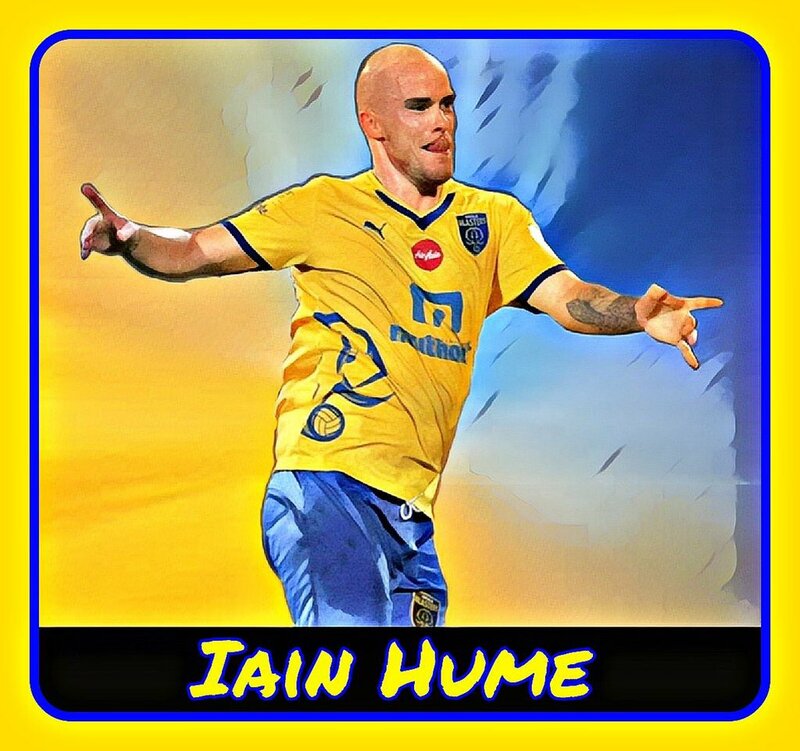 Hume will be wearing the Yellow shirt for the two time finalists during the upcoming season of the Indian Super League (ISL). Iain, who is the all-time top goal scorer in the history of the ISL with twenty three goals under his name across three seasons, was a part of the Kerala based franchise in the debut season of the tournament before his shift to Atletico de Kolkata for Season-2. The thirty three year old frontman is a sensational fan favourite among football fans in the country when it comes to the Super League in India. During his first spell with the Kerala Blasters, he netted five goals and won the Hero of the League award. However, after agreeing to terms to join defending champions ATK at the end of the season, the former Leicester City superstar still remains an essential part of the team that won the title last season. The Blasters have had a decent jaunt at the ISL Player Draft as they acquired signatures of fifteen players for the 2017 campaign – Prashanth K, Rino Anto, Lalruatthara, Milan Singh, Arata Izumi, Subhashish Roy Chowdhury, Jackichand Singh, Siam Hanghal, Lalthakima, Pritam Kumar Singh, Samuel Shadap, Loken Meitei, Karan Sawhney and Ajith Sivan. They had previously retained the services of defender Sandesh Jhingan and forward CK Vineeth prior to the draft and they still have another six vacant spots for overseas players to add to their squad before the commencement of the season.